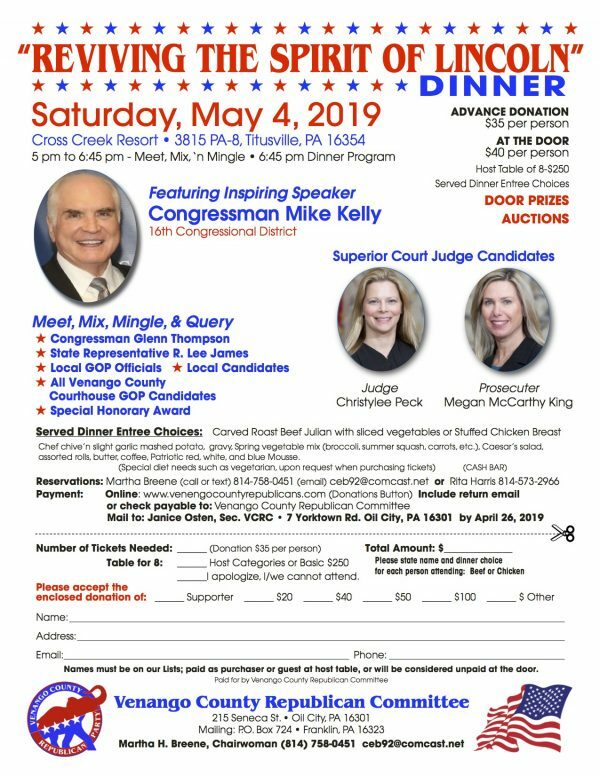 Reviving The Spirit of Lincoln Dinner, Keynote Speaker, the Inspiring Congressman Mike Kelly; Superior Court Candidates with County and Municipal Candidates and Elected Officials. Your chance to mingle, mix & meet, query your candidates, and enjoy friends–old and new! Surprise awards and a surprise presentation + auctions and door prizes. Mingle, Mix & Meet: 5 – 6:45 p.m.
Dinner Program begins: 6:45 p.m.
Entree choices: Beef roast with julian vegetables & gravy or stuffed chicken breast. A vegetarian entree is available upon request. 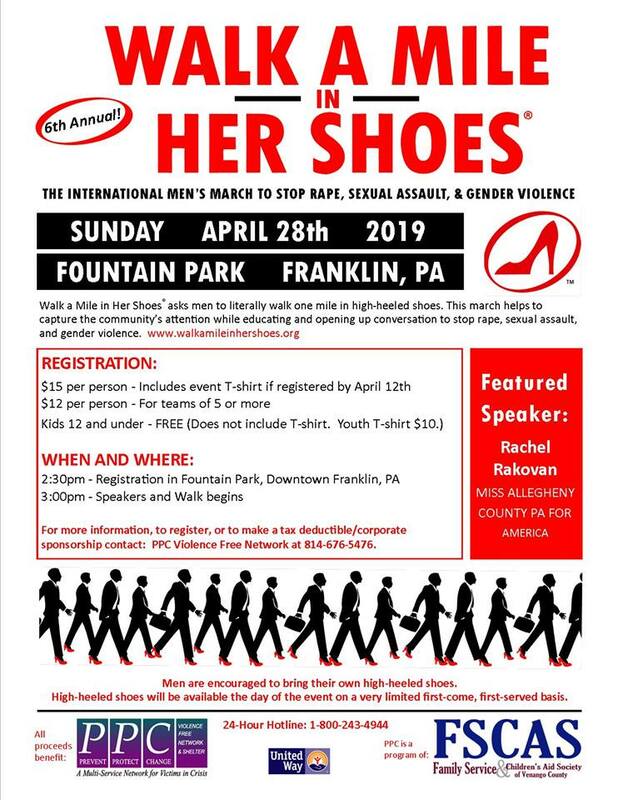 Tickets available by calling (814) 758-0451 or visiting venangocountyrepublicans.com. Welcome and enjoy!